Independent appointed Judges by the AG ensure a just outcome & contributes to the success of business(NZNow.govt.nz). In comparison Judges are mostly elected in the U.S. NZ’s Highly regarded Legal system ranked no 1 on the World Bank justice project. Forbes magazine rated 3rd best in 2014 for best legal system. NZ has 4 levels of General courts, plus special courts dealing with specific matters relating to labor relations, employment, Land Court, and Environmental court. 100 other decision making bodies may also need to be navigated to the proper authority for dispute resolution and legal claims. Like the U.S., when comparing these decision-making bodies to Agencies. However, Agencies decisions are not Law unless enacted by Congress. This allows speedier decisions, but more difficult to navigate through resolution. Offset additional costs by utilizing local Lawyer(s) familiar with knowledge of Common Law of both NZ, and the UK. NZ Justices of Peace will reduce costs when a company requires official documentation or notarization. Compared to the U.S. this signing has been sub delegated to Notary Publics found in banks etc(newzealandnow.govt.nz). NZ is about 103, Sq. Miles which is about the size of Colorado(nationsencyclopedia.com). For NZ size, there are about 7,000 which is about when adding Colorado’s Notary Publics(newzealandnow.govt.nz). Common Law will add an element of unpredictability as there may be two separate historical tracks when it comes to future implementations and decisions(teara.govt.nz). This May add cost and additional legal fees to any company. Historical cases for NZ, are also derived from the UK(teara.govt.nz). Civil courts have little net effect on risk, or cost, as the sub Tribunals operate similar in smaller aspects much like Small Claims Courts in the U.S.(justice.govt.nz). NZ is a strong Democracy and Capitalist country with recent historical record is one of a Non-Theocratic government. (abc.net.au) This may slow down changes to laws and result in increased predictability for companies, as religion does not have direct major impact to laws. Bureaucratic Law will reduce costs, lower instances of tort and will result in predictability of compensation expenses. 1972 Accident Compensation Act enacted repeal known as No-Fault compensation(Shannon). Law was aided in function through government subsidization of health care. In U.S. comparison, numerous Lawsuits expose businesses to much more risk, cost, and unpredictability and serious tort reform has been called for. 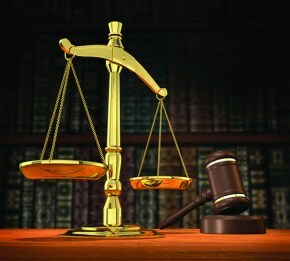 Dispute Resolution is a legal avenue and is a great alternative to save time and money from legal costs within the courts. Unlike the U.S., the government of NZ has authorized four Dispute Resolution Schemes(businesscompass.co.nz. These Schemes are for financial redress(businesscompass.co.nz). They function similar in the U.S. for the arbitration/mediation process(victoria.ac.nz). Contract resolution is quick, only 30 weeks(WTO.org). Compared to the U.S it is quick. This is a positive influence, and will reduce legal costs. The Fair-Trade Act is a positive influence for Product Safety and Reliability. This is Offsetting cost/risks net effect by ensuring safe quality foods. This consumer safety legislation falls under the Ministry for Primary Industries(foodsafety.govt.nz). This organization can be compared to the U.S. Consumer Protection (consumerprotection.govt.nz). And similar to U.S. Food and Drug Administration (FDA), and the U.S. states’ Departments of Health. Distance recommendation- Start survey process to open a Restaurant in NZ. They have a strong Legal System for protection of rights by government and entities, and have a top notch record supporting businesses functions. Shannon, Pat. “Bureaucratic Initiative in Capitalist New Zealand: A Case Study of the Accident Compensation Act of 1972.” American Journal of Sociology, vol. 88, 1982, pp. S154–S175. Davison, Isaac. “New Zealand Reclaims Title as World’s Least Corrupt Country – National – NZ Herald News.” The New Zealand Herald. NZ Herald, 24 Jan. 2017. Web. 27 Mar. 2017. Gully, Bell. “Business Ethics and Anti-corruption Laws: New Zealand.” Norton Rose Fulbright. Norton Rose Fulbright, n.d. Web. 27 Mar. 2017. “Stability & Security.” Stability & Security | Invest In New Zealand | NZ Now. New Zealand Now, n.d. Web. 27 Mar. 2017. “Human Rights Legislation in New Zealand.” Human Rights Commission. HRC, n.d. Web. 27 Mar. 2017. New Zealand has a multi-track trade policy. Trade is very important to the economy because the export of goods and services make up over 30% of gross domestic product (GDP). Through the World Trade Organization, there is multilateral trade liberalization. When a country removes or loosens restrictions on trade it is called as liberalization. The Asia Pacific Economic Cooperation and the East Asian Summit are regional co-operation. There are many bilateral trade arrangements in New Zealand this helps goods that come into the country stay tariff free. One of the bilateral trade agreements is the Trans-Pacific Partnership (TPP), which has negotiations with countries like United States, Australia, and Peru. The TPP was finalized in February 2016. By having liberalization on trade in New Zealand helps with the growth of business. It will help create a more productive and competitive economy which will lead to more business growth in the future. Since New Zealand is a member of the Asia Pacific Economic Cooperation (APEC), it is an investment in the region and it brings in 75% of the tourist who visit the country. It also accounts for 74.5% of investment that go into New Zealand. By being a part of the APEC, it shows how a business like a restaurant can be successful because it is bring people into the country. New Zealand Ministry of Foreign Affairs and Trade. “Trade Policy”, Web. 28 Mar 2017. If I could describe New Zealand’s political economy upon this research, it would be that their economy an ultra free-market that is thriving and constantly improving. Over the last 30 years the New Zealand economy has gone from being one of the most regulated to one of the least regulated, most free-market based economies. New Zealand has a very export-driven competitive economy with exports accounting for about 30% of their GDP. New Zealand has a low-inflation environment, with monetary policy managed by the Reserve Bank, and their independent central bank that is charged with maintaining price stability. The Heritage Foundation rated New Zealand the world’s third freest economy in its 2015 Index of Economic Freedom, just behind Hong Kong and Singapore. There are few restrictions on establishing, owning and operating a business here. In fact, by using the government’s online portals the official paperwork to set up a business can be completed in a matter of hours. New Zealand came in third in Forbes’ ‘Best Country for Business’ report, (December 2014) just behind Denmark and Hong Kong. Between 2000 and 2007, the New Zealand economy expanded by an average of 3.5% each year as private consumption and residential investment grew strongly. Annual inflation averaged 2.6%, inside the Reserve Bank of New Zealand’s 1% to 3% target range, while the current account deficit averaged 5.5% of GDP. Like most OECD countries, New Zealand’s economy experienced an economic slow-down following the global financial crisis in September 2008. As in other advanced economies, business and consumer confidence declined. Unlike most OECD countries however, after a 2% decline in 2009, the economy pulled out of recession. It achieved 1.7% growth in 2010, 2% in 2011 and 3% in 2012. That compared with 0.3% growth in the UK and negative 0.9% in the euro area; 0.4% in Japan; 1.1% in Canada; and 1.6% in the USA. Recovery was led mainly by exports, while relatively strong Government accounts and a well-capitalized banking system provided a stable base for the economy. By December 2014, annual growth had risen to 3.3%, the fastest rate of expansion in six years and, according the New Zealand Treasury. “Economic overview.” Economic Overview | Invest in New Zealand | NZ Now. N.p., Feb. & march 2016. Web. 28 Mar. 2017. The New Zealand Parliament is the legislature of New Zealand. Currently, it has only one chamber, the House of Representatives, which has 120 members. New Zealand Parliament has 7 parties, ACT New Zealand, Green Party, Labor Party, Maori Party, National Party, New Zealand First, and United Future. National Party, a classical-liberal party was founded in 1936. Labour Party, a social-democratic party was founded in 1916. Politicians in New Zealand can belong to one of those political parties. Labor Party and the National Party are the largest parties in New Zealand. The Legislative Council of New Zealand was the first legislature of New Zealand from 1841, and it was established by the Charter for Erecting the Colony of New Zealand. Originally, the Legislative Council consisted of the Colonial Treasurer, Colonial Secretary, and Governor. The Legislative Council had the power to issue Ordinances, statutory instruments. With the passing of the New Zealand Constitution Act 1852, the Legislative Council became the upper house of the General Assembly in 1853. It was specified in the Constitution Act 1852 that the Council would consist of at least ten members. However, instructions were issued that the number of members should not exceed fifteen. The first appointments to the Legislative Council were made in 1853, when twelve members were called to the upper house. Gradually, the maximum number of members was raised, and the limit was eventually abolished. The Council reached a peak of 53 members in 1885 and 1950. A number of proposals were made that the Legislative Council should be elected, not appointed. However, no action was made due to World War I. The first election in New Zealand was held in 1853. To be able to vote, they had to be male, 21 years old or over, and British subjects who either owned or rented property worth a moderate amount of money. In 1860, New Zealand government passed a new law to eligible men who had miner’s rights to vote. In 1879, men aged over 21, British subjects, and had lived in electorate for at least six months got rights to vote. Similar to other countries, woman didn’t have voting rights in the 19th century. Then, Women’s Christian Temperance Union stood up and organized several petitions in favor of women’s voting rights. They had collected about 32,000 signatures which is almost one in four women in New Zealand. In September 1893, New Zealand government passed a law and became the first country in the world where women had the voting rights in national elections. In 1969, the voting age was lowered from 21 to 20. In 1974, it was lowered again to 18 years old. Distance Analysis- New Zealand has a strong political system and a fair system of Government. This is based in Democracy and Capitalism. The combination with It’s top notch WTO record reveals an impressive Business opportunity to make money in the Restaurant industry. New Zealand has made great strides maintaining it’s competitive edge. It continues attracting new business and FDI, upgrading infrastructure, and maintaining a large tourism industry.